When Do You Really Need Managed WordPress Hosting? How Much Does It Really Cost to Build a WordPress Website? Why is WordPress Free? What are the Costs? What is the Catch? WPBeginner is a free WordPress resource site for Beginners. WPBeginner was founded in July 2009 by Syed Balkhi. 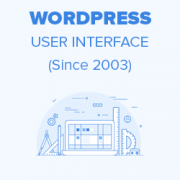 The main goal of this site is to provide quality tips, tricks, hacks, and other WordPress resources that allows WordPress beginners to improve their site(s). Copyright © 2009 - 2019 WPBeginner LLC. All Rights Reserved. WPBeginner® is a registered trademark. WordPress hosting by HostGator | WordPress CDN by MaxCDN | WordPress Security by Sucuri.